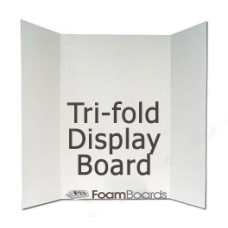 A Tri-fold Display Board with a single 81 x 51cm Centre panel and SIDE panels that fold in to enable free standing. The 1220 x 915 (48" x 36") has a centre panel of 610mm across and 915mm high. The side panels are 305mm across. 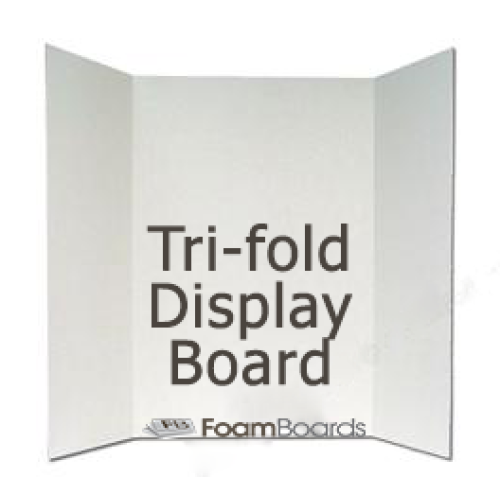 School Project Trifold Display Boards are for every school teacher, parent or student who needs to display a school project but can't find the perfect board. Here's a huge problem you face right now. It's plain cardboard isn't the right size or colour. But that's not the end of your problems with making it easy to display a school project. What makes this even worse is the fact that without the right display board it is difficult to design a good school project! Which means you'll disappoint your students because their confidence will suffer when they don't have a good board to work on..
And, worst of all, many school teachers can't get past the idea that all cardboard is the same so it doesn't matter whether you get the perfect display board. All this can make trying to make school projects look great a nightmare! But luckily for you, there's now a solution! 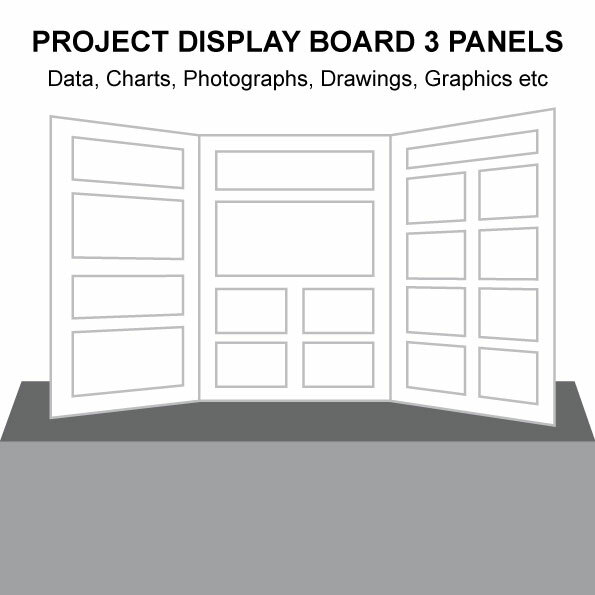 So, if you're a school teacher and who really needs to display a school project but can't find the perfect board, "School Project Trifold Display Board" is the answer you've been looking for! Don't hesitate - now is the time - carry the project easily and if you have a number of projects they won't weigh you down when moving them around the classroom! - Order Now! BREAKTHROUGH! Cut to school project size lets you fit A4 paper or pictures in either landscape or portrait format without having to cut the paper down just like the best do. TRUSTED! Acid-free matt white surface delivers the key to paint, draw and glue any colour or picture onto the surface easily - Just Like The Pros Do. You can utilise any of these exhibits as a permanent fixture in a lobby, customer display or classroom? Most of these portable display units are suitable to display important information for a school or tradeshow. The table top display boards with custom headers are commonly used outside conference rooms to indicate the current meeting in progress as well as supplemental information pertaining to the event. They are particularly useful for organising seating displays so guest can see where they are supposed to sit at public events. Most of foam boards presentation boards would be suitable for any type of commercial or school environment. 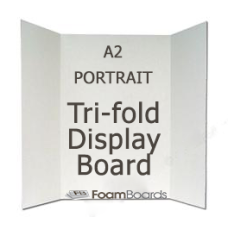 TRI-FOLD A2 DISPLAY BOARD A Tri-fold Display Board with a single A2 PORTRAIT FORMAT Centre pane..
TRI-FOLD DISPLAY BOARD 48" X 36" A Tri-fold Display Board with a single 36" x 24" (915 x 610mm)..